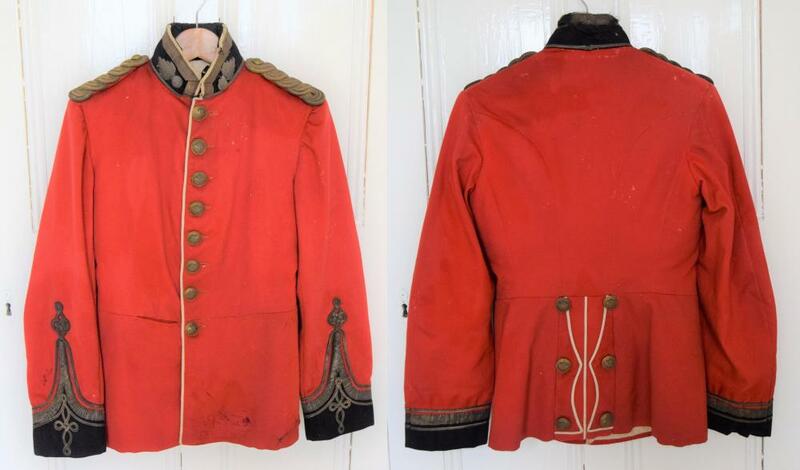 A recent pick, it was in very poor condition but is looking somewhat better after I gave it some TLC. I used a clothes brush and a soft damp sponge on it. The frock is the 1902 pattern, the silver bullion collars were only worn by the 2nd VB up to 1908, the buttons have the Jennens and Co backstamp used up to 1912 with the irregular Welch spelling not officially authorized until c. 1921 but the VB's were notorious in this matter, preferring it to the Welsh spelling favored by the WD at that period. It has only the sorry remains of its original back flash and I added one I had just for the pics. 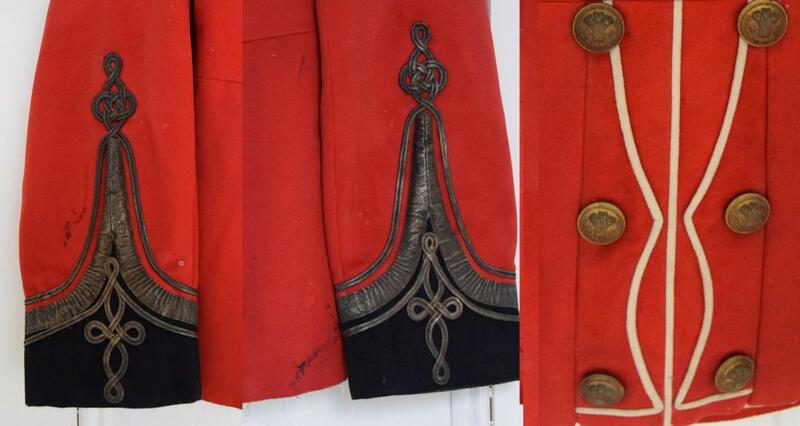 It seems to have the extra braid knot on the cuffs seen on the earlier 1882 pattern but other wise is correct for the 1902 pattern, complete with blue cuffs for a royal regiment. The shoulder boards appear to be missing two rank insignia from each of them, from a Captain I assume or perhaps a Lt Colonel which might expalin the more elaborate cuff braid. Still researching this point. 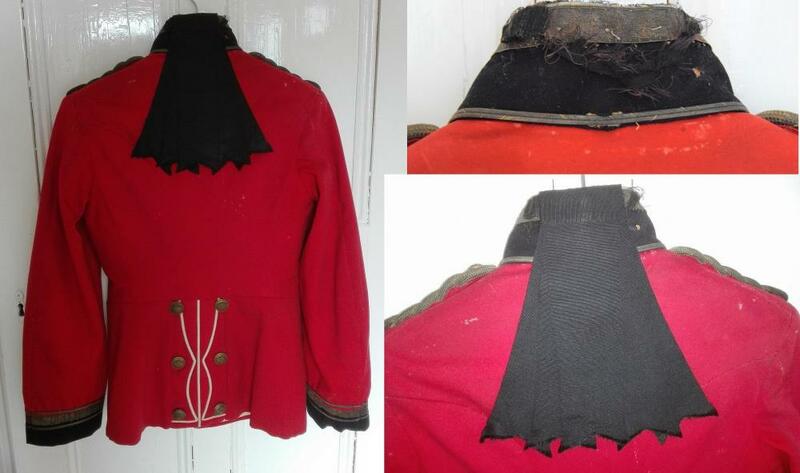 Thanks for showing this tunic and well done for rescuing it as you have, so often tunics like this are stripped of buttons and badges and thrown away. A nice addition to your collection. good to hear from you and very nice pick up! Cheers Kris, I don't see much of you online either these days.